No doubt that all the attention of Samsung at this time are focused on the next presentation of the flagship series Galaxy S10, not to mention the juicy foldable smartphone. The Korean tech giant, however, is also working on a cheaper devices, to revive in the lower reaches of the market, taking the battle to Huawei and Xiaomi in order to regain the low and mid-ranger market. 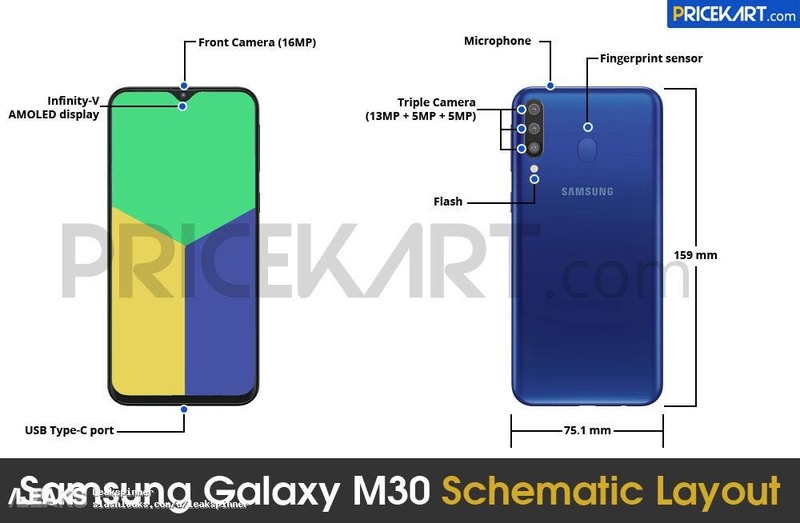 And the future Galaxy M30 appears very promising. In fact, the technical specifications (virtually everything) complete of the Galaxy M30 have been leaked, from a rather reliable source, which collaborates with the famous portal slashleaks. The colors should follow the color gradient fashion, in blue and black, while the details on availability and price are still unknown, this latter is the real factor that will determine the success of this Galaxy M30.